Welcome to 375 Mads Place! 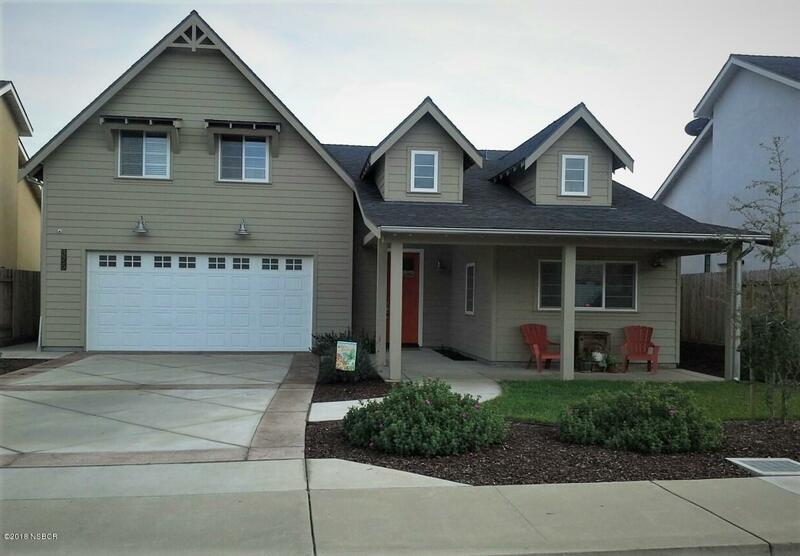 This impressive farm style home is located on a small, quiet cul-de-sac in Nipomo and features four bedrooms, two of which are master suites, four bathrooms, and an amazing open floor plan that wows with vaulted ceilings, real wood flooring and a gas fireplace. The kitchen is amazing with a huge island, all wood shaker style cabinets which provide a huge amount of storage, granite counters, and stainless steel appliances. There is an inside laundry room and the two car garage has matching cabinets and epoxy flooring. The upstairs master suite is almost like having a separate guest quarters and has its own sitting area. Front and back yards are complete with low maintenance landscaping and include a hot tub, fire pit, pergola, and plenty of room for a dog.